Freefoam fascia, soffit, guttering and cladding products offer the best value for money. Freefoam’s products are not the most expensive. They are also not the cheapest. In fact we’re pretty much in the middle when you compare us on price. However, while the difference in PRICE is very small the difference in QUALITY is huge. Freefoam’s products offer the best value for money on the market and come with industry leading guarantees. A typical installation cost is around £2,500. Divide this figure by 18,250 – the number of days your roofline will last, gives you the figure of 0.13p per day. PVC is easier to recycle, easier to maintain and MUCH more durable than wood. Good news for the environment and good news for you. 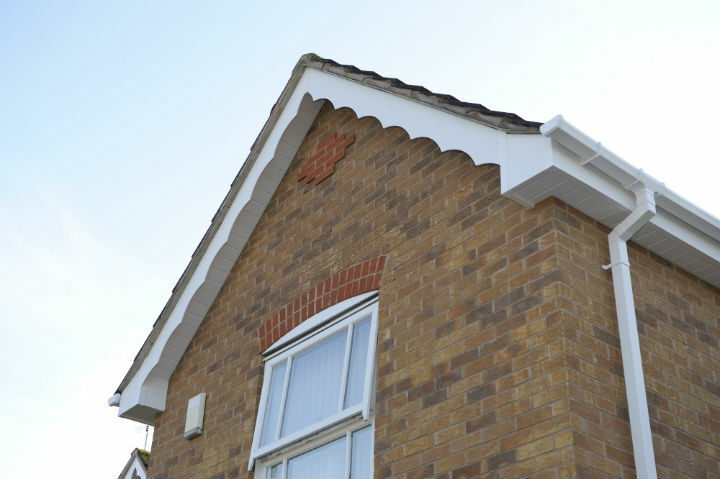 Fascia, soffit and guttering products made from PVC can be expected to give decades of reliable service with almost no maintenance. Unlike timber products they don’t require you to spend time and money sanding down and repainting on a regular basis. All they need is an occasional wipe down with a damp cloth. Freefoam roofline products are guaranteed for 50 years. Manufactured to the highest standards to withstand warping, cracking and discolouration they are the ultimate fit and forget product. PVC roofline requires minimal maintenance, saving you time. Thanks for finding me such a good installer. They kept me fully informed of everything -and were friendly, courteous and hardworking. Used a local company, very pleased with work and the site is a good way to get jobs done.